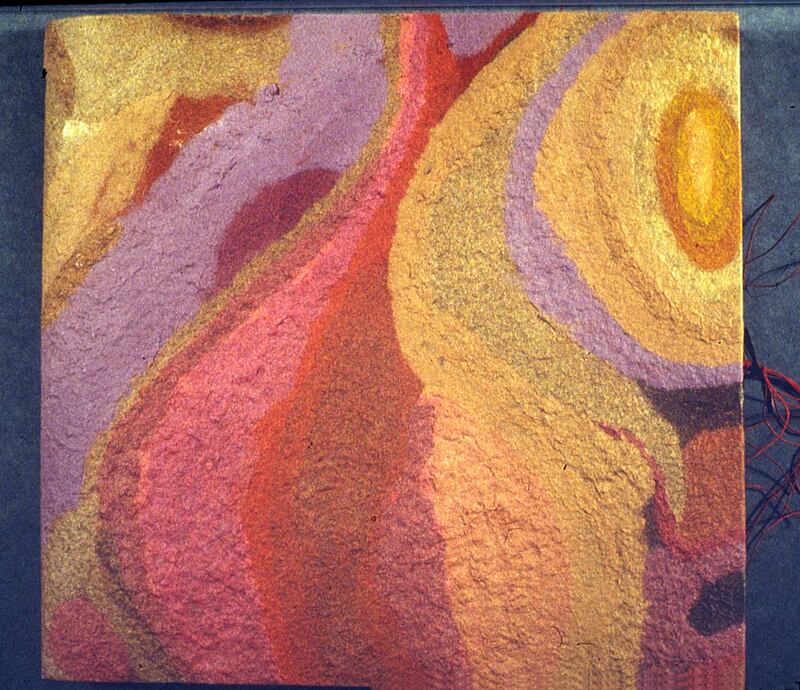 Around this time I was working extensively with paper pulp, for various projects. Working with dyed fibre yielded a pulp – fibres in suspension which yielded a highly tactile material, when poured on to scrim supports. The books I made provide a record of some of the projects. I was commissioned to make some panels using a combination of brown and purple. Here I interleaved drawings with dyed paper pulp. Rose box contains six books, each using different techniques and media – an exhibition in its own right – made specifically for temporary placement in a museum. It explores the dilemma of showing books in a ‘hands off’ situation.